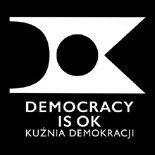 While it bolsters the moral position of government critics alarmed at what they see as an attack on democracy, the judgment is nonetheless powerless to resolve the crisis because the conservative government of Prime Minister Beata Szydlo says it won’t treat it as valid. Szydlo’s government says it will also dismiss a separate judgment expected Friday by the Venice Commission, an expert body with the Council of Europe human rights group, which has analyzed the changes to the court. This entry was posted on 9 marca 2016 by D.ok in angielski.